Last week the MAVINS unveiled their highly-anticipated to their single ‘Dorobucci’. Led by Don Jazzy, the single features Reekado Banks, Tiwa Savage, Dr Sid, Korede Bello, Di'Ja and D'Prince. 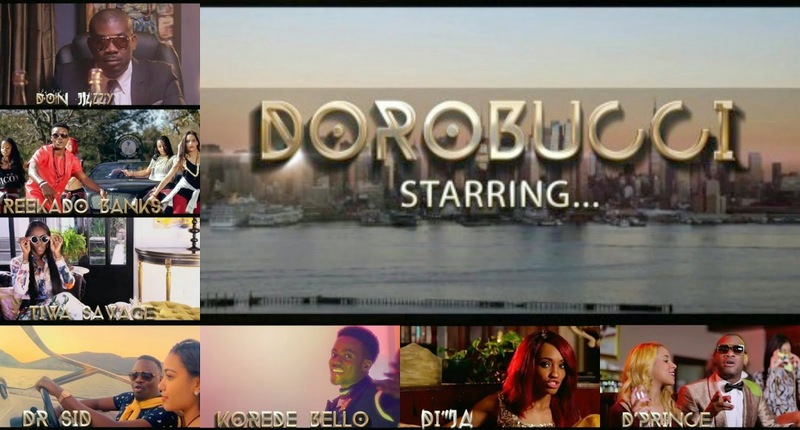 Shot on location in South Africa, the Nick Molotov-directed visuals captures each artists definition of the word ‘Dorobucci’ and even features a cameo appearance of the winner of the Channel O MAVIN super-fan competition. Look no further and enjoy the new video to ‘Dorobucci’ - whose scene is your favourite?